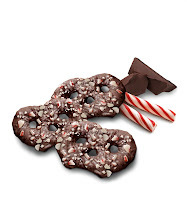 If you’re seeking stocking stuffers, housewarming gifts and/or treats to sweeten up the holiday table for your Holiday Gift Guide, check out the Holiday Indulgents Pretzel Crisps® flavors: White Chocolate & Peppermint and Dark Chocolate & Peppermint. 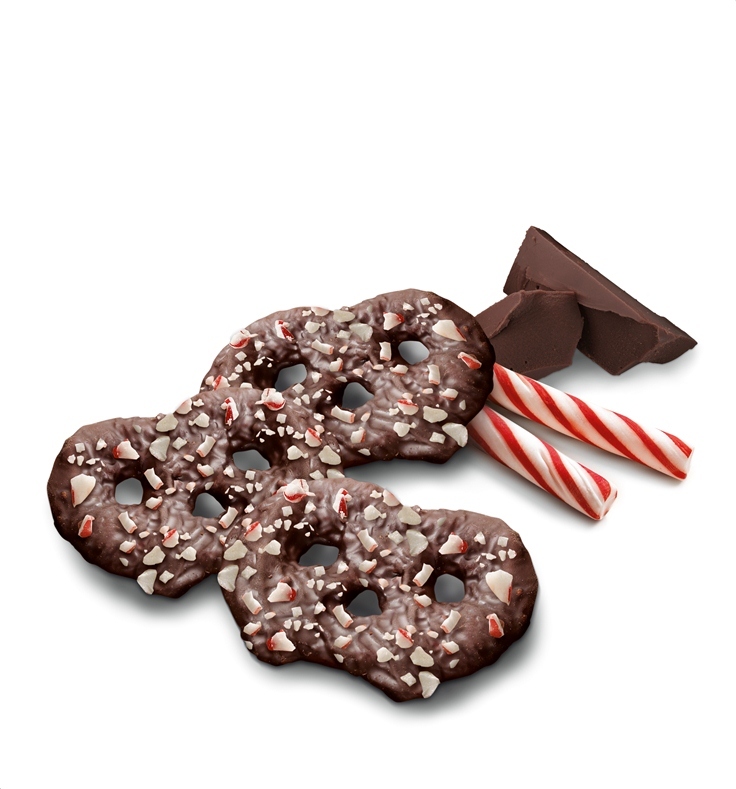 The Holiday Indulgents Pretzel Crisps are coated in rich, velvety chocolate and delicately sprinkled with peppermint candy pieces. A tasty addition to any holiday party, the sweet and salty snacks come in 4 ounce bags, contain 120 calories/5g of fat per serving and are available staring now through the holidays at supermarkets and select specialty stores nationwide. 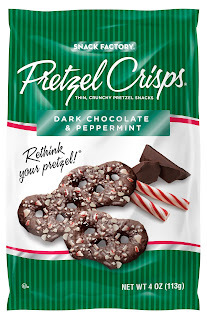 From the creators of PRETZEL CRISPS® comes a sweet and salty new snack: Dark Chocolate & Peppermint. 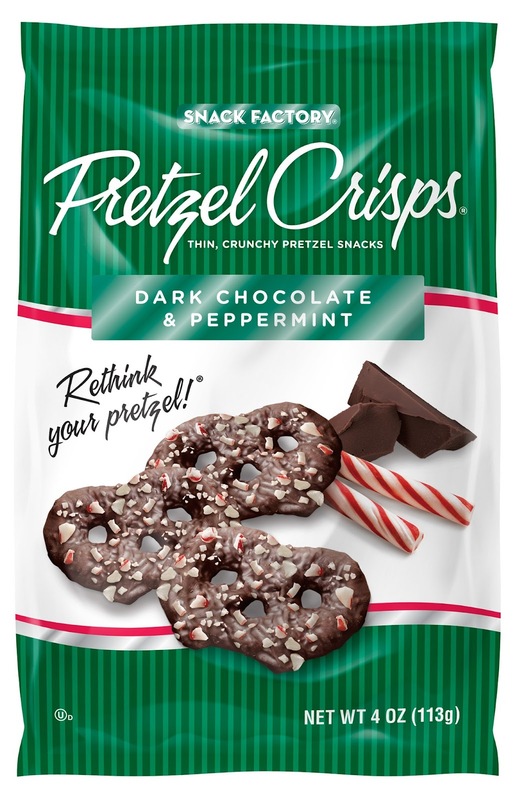 They’ve dipped all natural, thin and irresistibly crunchy Pretzel Crisps® in rich, velvety real dark chocolate and then sprinkled each one with a delicate burst of refreshing peppermint candy pieces. The perfect combination of sweet indulgence and salty crunch, Pretzel Crisps® are sure to become a delicious part of your holiday traditions for years to come. Even better, try them frozen for an extra special treat. 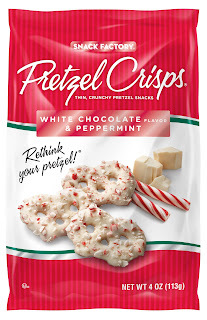 Celebrate the season with the new doubly delicious All Natural WHITE CHOCOLATE FLAVOR & PEPPERMINT PRETZEL CRISPS®. 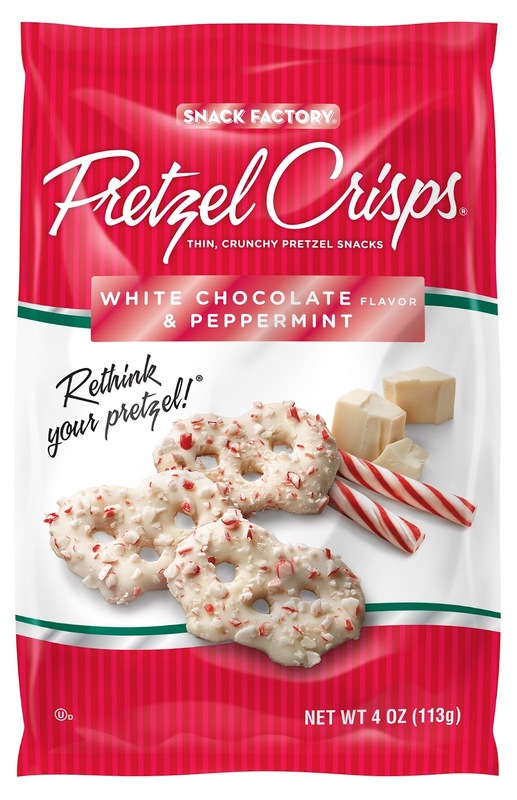 They’ve dipped all natural, thin and irresistibly crunchy PRETZEL CRISPS® in a rich, creamy, white chocolate flavored coating and then sprinkled each one with a delicate burst of refreshing peppermint candy pieces. The perfect combination of sweet indulgence and salty crunch, PRETZEL CRISPS® are sure to become a delicious part of your holiday traditions for years to come. Even better, try them frozen for an extra special treat. Buy It: You can purchase Pretzel Crisps in the deli section or the snack aisle at the fine stores nationwide. That’s 9 bags in all, including two bags of the Holiday Indulgents flavors, plus one reusable shopping tote (total value $30) to a lucky winner!